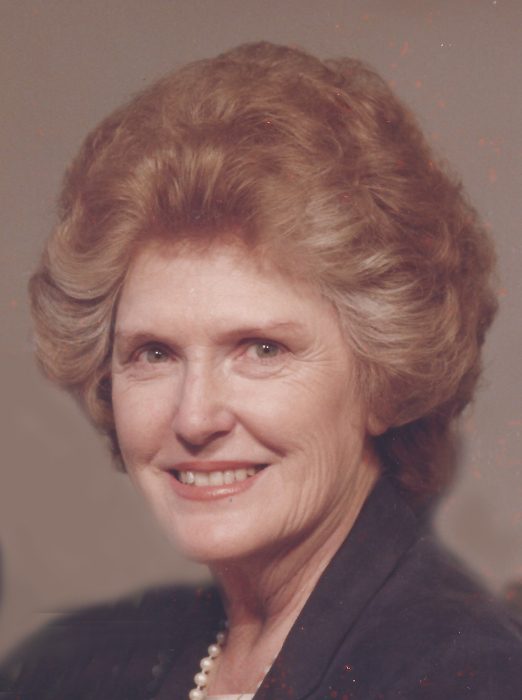 Millie M. (Rice) Holland, age 94, Holland Roofing Bookkeeper/Office Manager for 70 years, devoted wife, mother, grandmother, passed away Saturday, February 2, 2019. Visitation 9am-7pm, Thursday, February 7, 2019, with family present 5:30-7pm. Services, 10am, Friday, February 8, 2019, BOTH at Webb-Shinkle Mortuary Chapel, Clearwater. Millie was born on Friday, August 8, 1924 in Asher, Oklahoma. She was the second of two children born to Roy Earl Rice and Zona (Sanders) Rice. She was united in marriage to Louis Francis "Lou" Holland on February 19, 1949 in Poplar Bluff, Missouri. Lou preceded her in death on April 29, 2010. Preceded in death by her husband, Louis; parents, Roy and Zona (Sanders) Rice; brother, Eston; grandson, Gregg Thacher. Survivors: sons, Gary (Ruth) Holland of Belle Plaine, Neal (Mary) Holland of Wichita; grandchildren, Dr. Shannon Holland (Michael Moore) of Georgetown, TX, Emily Holland of Derby, and Cody (Sydney) Holland of Derby. Memorial: Shrine Crippled Children’s Fund, c/o Midian Shrine Temple, 130 N. Topeka, Wichita, KS 67202.